At Silver Star Service Center, Inc., we have invested in the latest equipment and training to accurately diagnose your vehicles problems. As vehicles modernize with the introduction of technologies like parking assistance, adaptive cruise control systems, and the future of autonomous driving, you will need a service center dedicated to meeting the challenges these systems offer. Following trends closely and educating ourselves on the systems ensure we get back on the road quickly and safely. The following is a sampling of the routine services we offer, please let us know if you have a question we can help with. 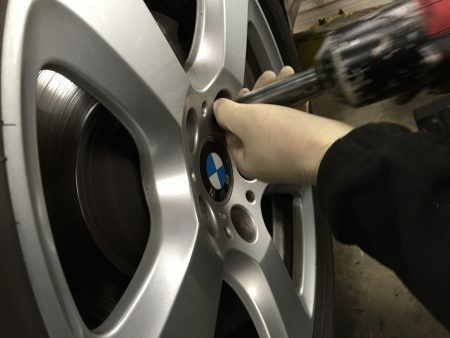 Whether you own a Mercedes-Benz, BMW or other fine car we follow the manufacturer’s guidelines for preventative maintenance. Regularly scheduled maintenance is the corner stone to a long lasting vehicle. As the service requirements have become closely focused on the specifics of the vehicle and no longer a generalized mileage and time approach (3,000 mile or 3 months like years ago) you need a service center that will make sure your vehicle is receiving what it needs and when. This will keep your vehicle running at peak efficiency and most importantly will reduce the likelihood of a breakdown. There are a number of systems that require preventive maintenance to prevent premature failure. engine coolant changes, engine oil, brake fluid, transmission and transfer case fluids are some. We will advise you on when and how often to do these things to keep the car going in the most cost efficient manner not to please our bottom line. The tire on your car will last longer if maintained, they should be rotated and the inflation level corrected regularly. The tires on your car make a big difference in the performance and handling. When you need tire replacement it can be a confusing issue, with so many choices available. Let us help you decide what tire is correct for your car. We will not sell you based on our current sales quota or in house brand, but the right tire for you! Your tires become misaligned over time due to many factors, road hazards and just plain use. Signs of misalignment include uneven tread wear, your car pulling left or right, an off-center steering wheel, or shimmy. A four wheel alignment should be performed once a year or if replacing tires. This is one of many items we pay close attention to since it will affect your driving safety. The traditional tune-up has changed over the years as engines have become less maintenance intensive. We will advise you on what your manufacturers recommendations are and what should be done to give you the best performance and reliability. Brakes are a vital system you rely on every day. The brake system should be inspected during routine maintenance and if you notice any changes in operation. The brake system fluid should also be changed according to factory specifications to prevent contamination and damage to sensitive components. If your warning light has come on or something seems a miss we will perform an inspection to determine the cause and advise on the proper repair. Performing regular inspection and maintenance to your transmission will aid in extending its useful life. On most modern vehicles these service intervals vary from year to year, model to model, we will determine the correct mileage intervals required for your car. If you have a question or concern with your transmission please contact us and we can discuss what will best suit your needs. Rough idling, poor acceleration, or a decrease in gas mileage are all potential signs of an engine performance issue (as are your check engine or service engine lights). We have the latest technology to diagnose and fix your engine performance problems economically. We also perform engine internal repairs as well as engine replacement. With the extended service intervals on newer cars, we often encounter conditions which warrant more frequent oil changes. Driving in dusty or dirty areas expose your car to contaminants that can lead to premature wear. We can perform a basic oil service to keep your car in its best condition. We offer State vehicle inspection to our customers on new purchases or change of ownership. We will review the inspection data to determine the real requirements for your car and make only the repairs required for certification. Don’t forget we also offer MVA licensed tag and title so we can get your vehicle tags here as well. Servicing your vehicles air conditioning system goes beyond simply adding refrigerant as implied in a lot of advertizing. Your vehicle has a sophisticated system designed to ensure multiple systems work together properly to keep you and your family comfortable and cool. When your A/C system is serviced, not only do we check the refrigerant charge, but we also test the switches, fans, compressor, valves, and other component functions to make sure everything works as designed to prevent premature failure of system parts. Today’s modern diesel engines are far advanced from only a short time ago, quieter, more efficient, and much cleaner. It takes a combination of the right equipment and knowledge to maintain and accurately repair these vehicles. If you vehicle has failed the MD state emission testing we can help. Please bring the failed inspection report in with the vehicle so we can diagnose the issue and advise you on the repairs needed. If you are looking at a replacement vehicle a small amount spent now can avert the purchase of a lemon or save you money by correcting issues with the seller before purchase. We will put the car thru an extensive inspection process and give you a unbiased appraisal of its condition. We also offer state inspection and tag and title assistance!